About a week back, I introduced the Treasure Chest/ Captain Hook Mix in the Jelly Belly and Disney Collaboration, the Vile Villains series of jelly bean mixes. 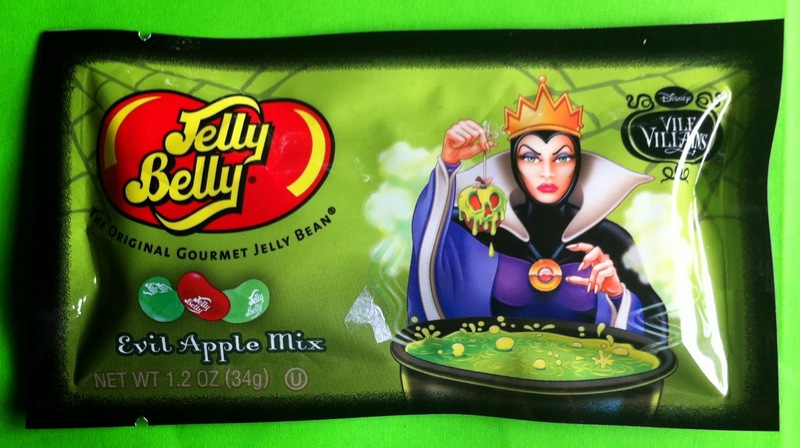 Now I've taste-tested two of these limited edition mixes created for Halloween, and the latest is fantastic. 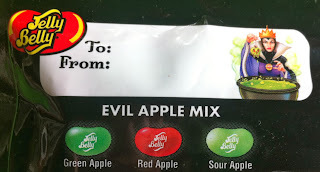 I loved the Evil Queen / Evil Apple Mix, consisting of three flavors of Jelly Belly Apple flavors- Green Apple, Sour Apple, and Red Apple. None of them are a surprise, and all are delicious and compliment one another. 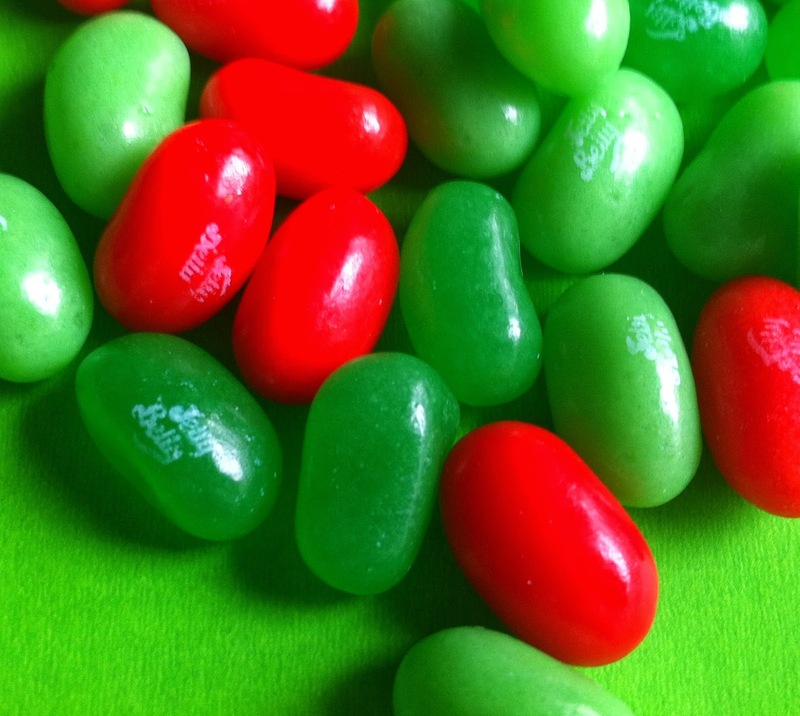 I ate this handful of jelly beans in about 30 seconds flat. 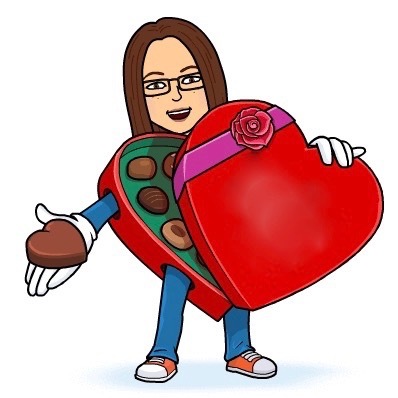 I only wish I could remember where I purchased them so I could go get more. Delicious!